What Causes an ACS Event? What is the AngelMed Guardian® System? 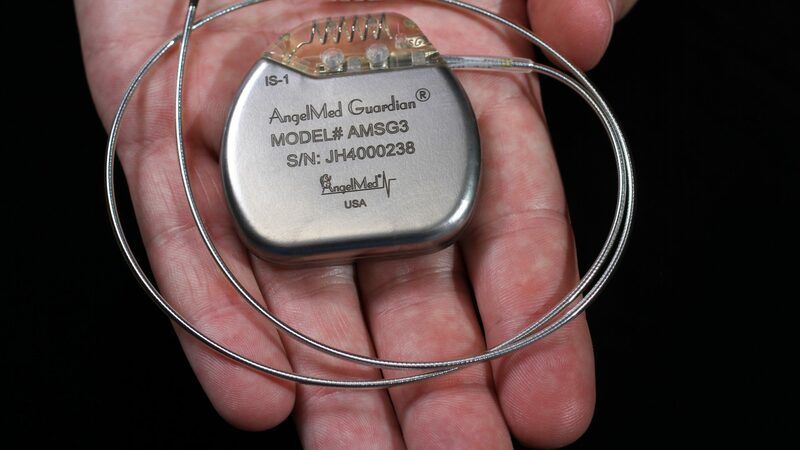 See the AngelMed Guardian® Implantable Medical Device (IMD) User’s Manual for indications and contraindications relevant to the AngelMed Guardian system. The AngelMed Guardian system is protected against most sources of electromagnetic interference (EMI). However, sources of strong EMI can damage the EXD (and IMD), and interfere with the wireless communication between them. Home appliances that are not in good working order. Ignition systems of running automobile engines. Patients should not work under the hood of a car when the engine is running. Patients can, however, drive or be a passenger in a car. Ignition systems of other internal combustion engines, like gasoline-powered lawn mowers and leaf blowers. It’s generally safe to work around running internal combustion engines, but patients should limit their exposure to ignition-system parts. Industrial equipment such as arc welders, induction furnaces, and very large or defective electric motors. Small motor-driven appliances like hair dryers, electric shavers, power tools, and transmitters for radio-controlled equipment or toys. Patients should not hold small motor-driven appliances close to their IMD and EXD. Hold the phone at least 6 in (15 cm) away from the EXD. If the cell phone transmits above 3 watts, patients should hold the phone at least 12 in (30 cm) away from the EXD and IMD. If the patient does not know the transmit power of the cell phone, the patient should assume that the cell phone transmits at the higher power and should hold the phone at least 12 in (30 cm) away from the IMD and EXD. Store the phone at least 6 in (15 cm) away from the EXD and IMD. This is important because some phones send signals when in the Listen or Standby mode. Security and anti-theft systems used in airports, stores, and other areas will probably not interfere with the EXD if patients walk past them at a normal pace and do not linger. The AngelMed Guardian® System is available by prescription or order of a physician only in the USA. Copyright 2019 Angel Medical Systems, Inc.